Recently I have noticed a rise in discussions on whether or not a woman should keep her maiden name when she gets married. When I was in college in the early 1980’s I had a particularly broad-minded professor who had taken on his wife’s name by hyphenating both together. With gay couples now able to legally marry, the discussion has taken on a new timbre. When two men or two women join together, which name becomes the family name? What names will their children carry? If you’ve grown up with a hyphenated name already, do you just keep adding names? When I was married in the early 1990’s, there was no pressure on me either way. Neither my parents nor my husband gave it a thought. And really my maiden name—Otte—was not one I was overly attached to. For four letters, it was deceivingly difficult. No one ever knows how to pronounce it. (basically “ahh-dee” with a dull “t”) And when in my early twenties I took on a nickname in my professional life, well, “Mickey Otte” sounded strange to the ear—too many “ee’s”. Hyphenating or exchanging my middle name for my maiden name didn’t “sound” any better. So “Herr” was an easy sell…it felt a bit more grounded. A lot of years would go by before I would start to appreciate what it was I had given up. I am only just learning what it is I have taken on with the Herr name. I’m also beginning to understand why some people feel it’s so important to keep particular family names alive. I wonder, if we all knew a bit more about our family names, would we exchange them so easily? 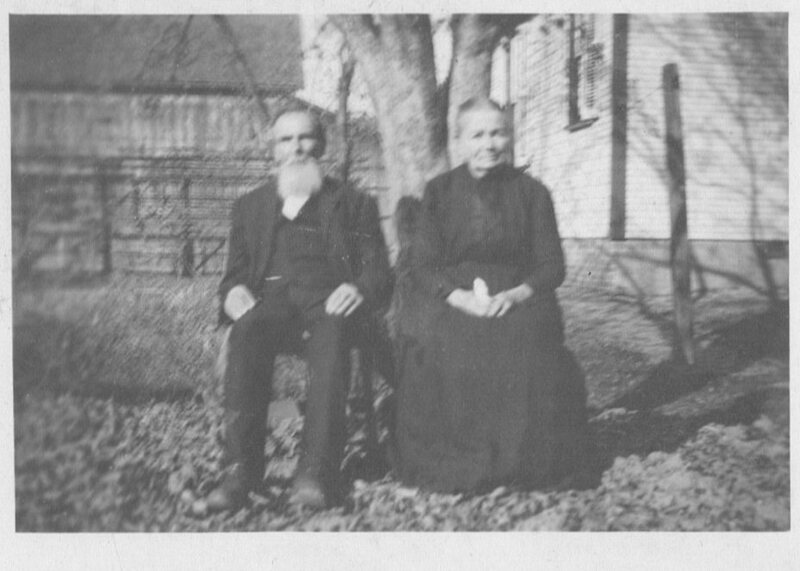 I have shared a good bit of my Otte genealogy in this blog already, and those of you who have read earlier posts know that the family stories I grew up with centered primarily on the Otte family. The stories my father and grandfather shared have influenced me greatly, especially in my fiction writing. Growing up I had never heard of “others” or even came across someone with my same last name that wasn’t a direct relative. I always assumed that when my great-great-grandfather Fredrich Wilhelm Otte arrived in Baltimore in 1834, he was the sole progenitor of all things Otte in America. Of course, I was wrong. By 1837 Fredrich Wilhelm (now known as Will or William) was farming in Ohio. But it appears other people named Otte settled in other parts of the country throughout the years. Are they related? I am still trying to figure that out. It is only in recent years that I’ve actually met some of the non-related Ottes. In my heart-of-hearts I never really believe they are “non-related” because there always appears (to me at least) a certain je ne sais quoi that makes me feel right-at-home with another person who bears the name Otte. If I had to specify what that quality was, it would lie somewhere between reliability, unpretentiousness, and a certain earthy-warmth. Through the years I’ve described my Otte ancestors as salt-of-the-earth. Sometime in the 1990’s my father started talking about a man he’d become friendly with, a man named John Otte. As I said, the name didn’t appear outside our immediate family so I was intrigued. Even before I met John it seemed obvious there were “family” connections—some genetic qualities that were evident in both men—so much so that it was mutual friends that had brought these two men together. As John recently shared with me, he had first heard of my father in the early 1960’s when he was stationed in California. John’s passion for cars led him to pick up a copy of some sort of Hot Rod magazine that contained an article which featured my father. Of course he zoned in on the Otte name. And he was curious about this man—a man who shared his family name—who was involved in fire safety at a race track in Southern California. John shared the same twin passions—fire safety and fast cars. And eventually, John would become the Fire Chief at Speedway Fire Department (home of the Indianapolis Motor Speedway). Through the years the two men heard of the other in the relatively tight community of the fire services industry. “You must be related” they’d be told, “you have so much in common.” Indeed they did, and once they finally met many years later, they became fast friends. I find it no coincidence that it was John who ended up being the person with my mom and me the moment my dad passed from this world. My dad had been on business in Indianapolis. He was expected to recover from emergency appendicitis surgery. We were all at the hospital. John had come over to watch a car race with my dad while mom & I took a break from the hospital food. It was almost as if my dad had waited for John to enter the room…as suddenly my dad was gone, taken from us by complications of the surgery. John, the practiced Fire Chief was calm and methodical during it all—but it was more than that. My mother and I were in a city where we knew no one, so John instantly became our surrogate family, looking after our well-being and helping us make arrangements. I always believed he was sent there to be with us in our time of need. John and I speak by phone or email on occasion. I pester him with questions, convinced I will be able to one day connect our families through my genealogy research. A few months ago I was contacted by another non-related Otte through this blog. A man named Fred Otte left me a comment stating something to the effect of “…I look just like your father and I also have a grandfather named Fredrich Wilhelm…” Could it be? Could this be an Otte I was related to outside my immediate family? And while yes, Fred (who also shares the name of my beloved grandfather) shares more than a passing resemblance with both my father and grandfather, it seems we are not directly related. His Fredrich Wilhelm was born years after mine, but I thought perhaps they could be uncle and nephew. Fred quickly dissuaded me of my notion—calling out my (self-admitted) ignorance of German history—by informing me that many little boys were named after German royalty. When I looked it up myself I saw that either a Fredrich Wilhelm, a Fredrich, or a Wilhelm Fredrich served as the King of Prussia from 1713 through the abolition of the monarchy in 1918. So yeah…there could be hundreds of Fredrich Wilhelm Ottes out there, over multiple generations. Fred has been quite gracious about answering all my “family” questions and beyond. It turns out Fred only emigrated from Germany in the early 1950’s. “What was it like,” I asked, “moving to the states after World War II?” An eloquent writer, Fred said he had traded in his apple strudel for apple pie and soccer for the NFL. He was matter-of-fact. He did what he needed to stay under the radar and soon enough no one noticed the German down the block. Fred has shared some of his genealogy which was researched in Germany some 70 years ago by an aunt. I have yet to directly connect our two families together, but my great-great-grandfather was born in the same region where all these other Ottes resided, so I think it’s just a matter of time. A week ago, I received more mail from Fred. He sent me a copy of a letter he wrote that was published in the December/January 2014 issue of German Life magazine. According to Fred the Ottes have a Familienbund (family organization) in Germany with about 150 members. They have traced the Otte name back to Carsten Otte who was born in 1570 and have even published a family genealogy book (yes! I must get my hands on this!) It turns out the Otte family originally came from Sülze in the Lüneburger Heath from the Rosenhof (Rose farm.) According to Fred the Ottes have been on this farm since the first one married the oldest daughter of a farmer named Rose in 1660. The Otte name is common in the area of Sülze even today. What Fred stated next was a pleasant surpise, as “Sülze” he says is German dialect for saltwater. And there was a time when production of salt in this area was a major industry with the Sülze salt works first mentioned in 1381. Fred believes these Otte ancestors supported the salt manufacturing by cutting peat and working in the boiling houses. 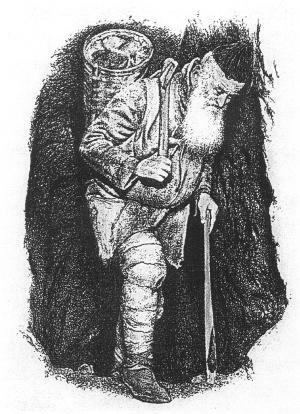 Several of them were “Salzfahrers” or salesmen who traveled the countryside with a wagon full of salt. Yup. My American Otte relatives were real “salt-of-the-earth” types. If I can indeed connect them to Fred’s German Ottes, it appears my description was more apt then I ever could have imagined. I am Fred’s grandson and I found this post very intriguing. I was wondering if you have written any other pieces about the Otte family because i am very interested in reading them. Thank you very much. A friend just sent me your article, and I’d love to connect with you. My mother’s maiden name was Otte, and about 20 years ago we connected with the German Otte families in Sülze and Eversen. Many of my family have traveled to Germany for several Otte family reunion, and a number of the Germans have come to Kansas for ours. My degree was German literature. And I’ve been doing my own genealogical research in Germany on my father’s family. My mother’s family descends from Carsten Otte, and we have a copy of the Otte family genealogical book that goes back to the 13th century. I live in San Diego now, and if you’re ever in So Cal, please let me know. I hope to connect with you soon. I would love to compare notes with you! Although it sounds like you know much more than I about the Ottes. I never knew there was an Otte genealogy book. Fascinating! Sounds like it would answer a lot of questions. Feel free to email me mickeyherr8155@gmail.com and let’s keep talking! Thank you for reaching out! I enjoyed reading your post. My name is Paul Otte and I live in Minnesota. Perhaps I’ll contact you by email also. I’m curious about your connection to Nebraska. My grandfather’s name was Matthias Friedrich Wilhelm Otte (more about that in a minute). He was a farmer in and around York, NE. He always went by the name William. Our Otte branch isn’t very big, because he was an only child of a couple that died in a cholera epidemic in southern Indiana when he was very young. He was raised by his grandparents there until he was 17 when he moved to Nebraska. Perhaps we’ll communicate more by email. But about the names. : You are partially correct about the German names, but there is more to it. German boys were given at least two names. The first name was a Biblical name and the second (or second and third) were often taken, as you said, from a famous German. Then there is of course the last name. The patron saint of Germany was St. John, so most German boys were given the name Johann for their first name — so many in fact, that a nickname for almost any German boy was “Hans”. One result of this is that boys/men often ignored their first name because it was so common. Such was the case with my grandfather. I knew him as William Otte until literally the day he died when I accessed his baptismal certificate and saw the whole name! I wouldn’t be a bit surprised if your ancestors who were named Fred (Friedrich Wilhelm after the king of Prussia) actually had another first name like John or Matthew which they ignored. Thanks for reading and reaching out Paul! I replied to your email so we can talk further. Cheers!